We offer a 2-Year Limited Warranty on all Whirlwind Linear Air Pumps. These products can be used with the Low Pressure Alarm Kit. This compact and light weight alarm easily connects to Whirlwind STA60N and STA80N linear air pumps. Alarm may be connected to other brand name pumps that have hose bib connection and can accept bracket hole mounts. The unit warning light and audible alarm activates when air pressure of the pump drops below 1 psi indicating a pump failure. 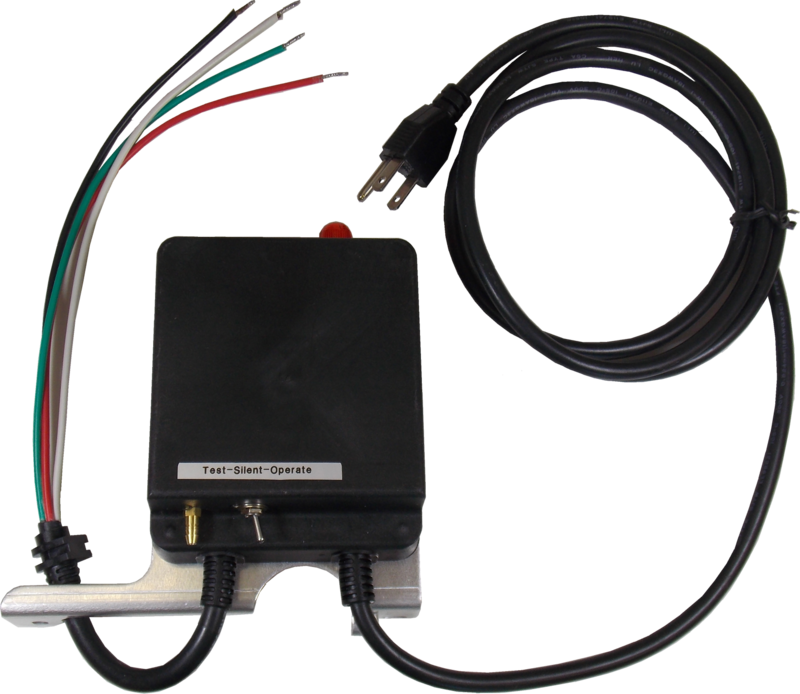 Unit features 3-position toggle switch to test the alarm and warning light. Remove 4 screws on bottom of pump base. Remove pump shell from pump base. Disconnect existing electrical wire leads from pump. Discard old power cord. Connect green, white and black wire leads from alarm unit to like wire connections of pump. Red wire lead not used. Position alarm bracket so that holes on alarm bracket and pump base align. Place pump outer shell onto pump base and use existing screws to secure alarm and pump shell to pump base. Connect air tube (not include) from alarm to hose bib connection on pump.